HappyFox allows the admin to select the fields to be displayed in the New ticket form(Staff and Customer portal). 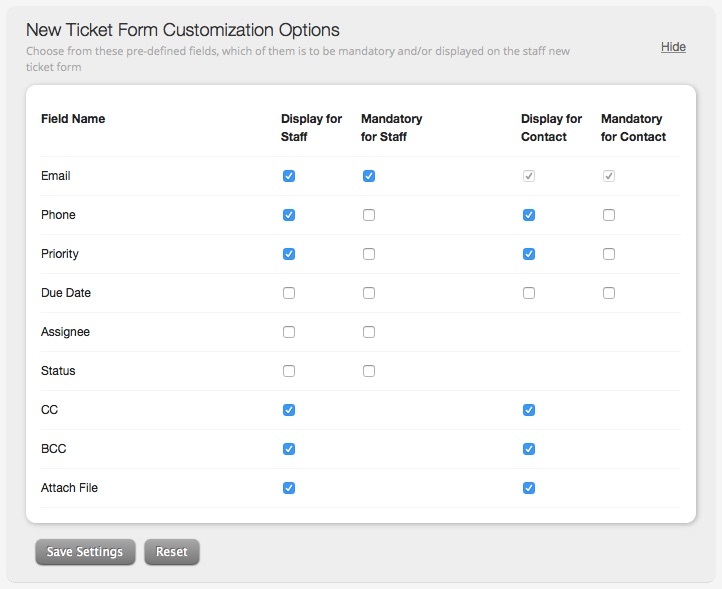 The General tab under the Manage menu has “New Ticket Form Customization Options”. By default, HappyFox has Phone and Priority enabled in “New Ticket Form Display” option, that can be changed. You also are presented with an option to mark certain fields as mandatory fields.